This is for information purposes only and prices stated may not apply to every situation. Comments about any name brand table is an opinion based on experience. For the 7 foot I would be 46 inches from playing area and 41 inches from the overall area (from the wall to the long side of the table). My only issue is with one side of the table, as the other wall is about 20 feet from the other side. But based on these measurements, I think an 8 footer would be too tight. What do you think? 3 ½ x 7 - overall: 49" x 87" playing area: 39" x 78"
4 x 8 - overall: 54" x 97" playing area: 44" x 88"
Bear in mind though that when it comes to calculating how far away the table should be FOR PLAYING PURPOSES be sure to use the playing area measurements. The overall dimensions are meaningless as regarding play. Please let me know as soon as you can if you want to purchase a 7' as the selection may be limited in that size and may need to be ordered. A 4 x 8 is more common and easier to get. We have a completion date on our basement. We should be ready for the move and restoration of the table starting on Dec. 9th. I'll be ready to move and re-felt the table when you are albeit I usually stay 3 - 5 days out, sometimes a little more during the holidays. Just let me know when you have a fix on the date. They are a Twentieth Century pocket and almost impossible to find and the cost to purchase them would probably exceeds $800. The best thing to do is send them off to a company in Milwaukee that specializes in antique pocket restoration. They can use the existing pocket irons and recreate all of the leather down to every detail as there were originally. The cost for this would be around $300 - 350. It takes them about 3 weeks to complete the restoration. So, if you wanted to re do the pockets and/or replace the rubber cushions that would necessitate a return trip several weeks later to finish the installation. I guess at this point we best get down to estimating the cost for you so you can decide exactly what you want to do. You may also decide to table the components of the table to an antique furniture re finisher. OK, if you have any questions just let me know. Just noticed that Roopville is really close to Newnan, GA, where I live!! Would love to get a table from you and have you set it up. I only want to spend around $1700 though. There are a few tables on Ebay that are $1300 with shipping. Then I have to move it to the room from the Garage, then pay someone $300 to set it up. So I wanted to stay around this price. Do you have anything in this price range? www.pooltableguy.com you'll see the Lanchester, Austin and Belvedere. If you want a lower priced table, I also have the Terminator, now called the Vermillion, but I really believe Lan/Aus/Belv line is the best deal. The construction, engineering and finish is superior to the tables being made overseas. I sold a few of the Kasson tables to people in your area and you can contact them as a reference if you like. They may even let you stop by and look at the table. I also install many tables bought on ebay. My fee is $225 if all the components are in the room. I will transport the components from your garage into the room for an additional $65. Whatever you decide, I'd love to do business with you by installing a Kasson table for you or installing a table you buy on ebay. Thanks for the inquiry and please don't hesitate to contact me if you have any more questions. How much for just the felt? I sell 4 x 8' felt (bed & rails) for $109. No shipping. You can pick it up at my shop (by appointment only) in Carrollton which is about 40 miles south west of Atlanta. Could I get a quote on re-felting a table? If you live in the Atlanta Metro area I usually charge $350 for re-felting a 7 or 8' table . We are considering purchasing a Campran pool table. How much do you charge to set up an 8 ft table, and do you like Campran? Yes I do like the CampRan tables. They constructed very well with good quality materials. If you are in metro Atlanta, my installation fee is $225 if all of the components are in the room. The delivery company will only drop ship in your garage or carport. We will transport the components for $65 if there are no stairs. Of course you have the option to move the things in beforehand and avoid that charge. We stay about 4 - 7 days out so try and schedule as far in advance as you can. Thanks for the info. I think it takes 8-14 weeks to get, so I’ll contact you as we get closer to delivery. Really? I thought CampRan was getting tables to the buyer in 7 - 10 days. In any event I'll be ready when you call. They had some tables that were already here in the USA that were faster to deliver, but they just said they are running 10-12 weeks. Do you have any suggestions for other piano companies you've worked with? Piano companies? Do you mean Pool table companies? If you haven't already purchased a table from CampRan and you are looking to buy a similar one but get it sooner I suppose you could try Kingston Global International. The are importers of the tables from China just like CampRan is. They might be faster and probably about the same price. If you've already purchased a CampRan table I'll be ready when you call me for install. I usually stay about 3 days to a week back. What are these factors that can be adjusted as far as the moving price?. I am happy to move the pool table for you on Tuesday of this week. price of $375 but that did not include additional travel. including an invoice with this email. The travel fee could be adjusted lower based on several factors. What are these factors that can be adjusted as far as the moving price? Well, lets say the pool table was located in such a way as that I could disassemble it and load it without a helper. This would mean there would be no stairs or other difficulties in the route from the current table location to my truck. I can handle a 3 piece slate pool table alone if there are no stairs involved. This coupled with a similar situation at you house, meaning a situation where I could deliver the table without a helper. (ie: no stairs or customer assistance) I run a no frills business and I often offer a "customer assistance discount" when I can eliminate my part time helper for the day and pass the savings on to the home owner if they care to get involved. So what I'm saying is that if I can eliminate the need to pay my assistant that day I can in turn eliminate the travel fees. Since I have to pay him for the entire day when I really only need him a few minutes at a time to help carry the slate pieces. I would just as soon work alone anyway. The soonest I can deliver the table to you would be between noon & 1 o'clock on Tuesday Nov. 14. I have a table to disassemble for a restoration company in Smyrna that morning which usually doesn't take too long. I could come to Cartersville after that. The only other time I have clear is on Friday Nov. 18. I am sending a pic of the most prominent scratch on the table that I am aware of at this time. I'm sure you heard the one about the used car that was owned by the little old lady who only drove it to church on Sunday. Well this is like that. It was really owned by an older lady whose husband fell ill and died soon after he got the table. She later got ill and moved in with a daughter in Ohio. I got the table about 3 months ago but have just now gotten around to advertising it. In fact you might think about just paying me for the delivery and installation but keep the original felt and accessories because this table was hardly used. The delivery and install would be only $245. So your final cost would be $1845 instead of $2000. I suppose you could make that decision after you inspect everything. I'll bring the original felt and accessories as well as new felt and accessories. About the felt colors, I have a more limited supply of 9' felt than I do of 8' The only colors I stock in 9' are standard green, dark green, navy, wine, Burgundy and camel. Those are the colors I will have with me. If there is any other color you want (that you see on my web site) I can get it but I'll need about 4 days. So, if you wanted delivery on Friday you could pick a color and let me know tomorrow and I'll have it on time. If you want the table on Tuesday AND if you want a new felt you'll have to pick form the colors I listed above. I'm also sending you an invoice so we are sure to agree on the pricing. Just reply when you decide what you want to do. If you want to call me tomorrow you can reach me on my cell @ 404-405-3168. I'll be in Jackson in the morning and don't know what kind of service I'll be getting there. Then I'll be North of Atlanta and downtown for the rest of the day and evening so you should be able to get a hold of me. Hi Mr. Schaffer, My name is Jay H- - - - k and I am interested in purchasing a pool table. I'm not really sure what kind to get new or used so I would like to rec. more info on your tables. I got your name from Billy L- - - who purchased one of your tables last year. He speaks very highly of you and what a great job You did installing. I remember Billy L- - - I bought some carpet from him about 5 years ago and then coincidentally, he purchased the table from me last year around Christmas. For new pooI tables I sell the Kasson line. Billy got a 9' Lanchester. I can get any table Kasson makes so you could look at their website in addition to mine and if you see something that I don't feature on my site I can get a price for you. Bear in mind however that the four tables I feature are probably among the lowest priced tables Kasson offers. So anything else you see on their site will be in a higher line. As far as used tables go I usually have several listed on my site. Some of them are mine and some are owned by other individuals that I allow to post on my site. You would need to contact them directly to negotiate a price. My tables are appropriately priced so I do not "haggle" the price is listed for each table as is and picked up at my shop near Carrollton. I offer a $400 upgrade package on all my used tables. It includes delivery and professional set up, a brand new felt (buyer chooses color) and a brand new 20 piece accessory package. Priced separately the $400 upgrade would cost $645. I do a lot of pool table service work. This includes moving and refelting. If you find a used table somewhere else that you want to buy I'd be happy to quote you a price to relocate it. My fee to disassemble, move and reinstall a 4 x 8' three piece slate pool table is usually between $350 and $450. A re-felt when done with a move is between $150 and $375. You could look in the Atlanta Journal classified section #917 to see what tables are for sale in the metro area. Thanks Jay and check back anytime. My husband spoke with you about moving our pool table one day, then setting it back up the next day or two after we had new carpet put in. Also had discussed refelting at that time. Could you please send us a quote for this and times that you would have available this month? The price could changed based on the size of the table and how far I must travel. I am usually available with 3 - 5 days notice. I had a good bit of trouble with the cross members on that table. They are made of press board and do not take well to repetitive "screwing" for lack of a better term. I tried some larger screws that I had in my tool box to tighten the slate and they did get a bit tighter. But I was apprehensive about what would happen after I tightened the rails down as that sometimes will cause the slate to shift in that kind of a situation. So after I had everything tightened up I felt the seams and found a ball to roll on the table and it appeared fine. So what you're telling me makes sense. It must have shifted and I just didn't notice it. The only problem is that what is usually a simple fix on most tables might get involved in yours if I have to strip off the felt. So I need to find a place on my calendar where I can set aside a half day in case it gets involved. Do you think you would be ok until after the New Year? You could play on it as often as you like as it is until I get it straightened out for you. Things are really hectic right now, I'm putting in some long days and working through a good bit of the holiday. But if I could schedule it for say the 2nd week in January I would not be rushed will be sure to get it right and make it last. Of course if that's too long for you to wait just let me know and I'll re-look at the schedule and let you know as soon as I can get there, maybe Sat.? I picked up the chalk for you it looks a little darker than what I gave you but he assured me it was for Burgundy. I'll bring it with me when I "adjust" the table. Let me know what you think. Good Morning Sir, Just a quick note to let you know that there doesn’t appear to be any more ‘settling’. Thanks again for the nice job. I’ve got your card & I’ll pass it around. Great. I'm glad the screws were not the problem. the sites I am assuming are round,,,if they are round,,you can use a 7/16Forstner wood bit to drill hole to inlay these into,,I would try on a scrap piece of wood first to check the fit,,then glue them in with Elmers white glue and clamp them. If you are refinishing rails,,leave them a slight bit higher than surface so when you sand rail top you can sand these flush. I have a pool table coming in from Campran next week. I was wondering what you charge to set a pool table up and when the next available time you have to set one up on your schedule. My normal installation fee for a KGI install is $250 there would be a $95 fee to move the components from the garage into the house and up the stairs. Of course if you decide to uncrate everything and bring it in and up to the room before the installation there would be no objection from here. The real expense however would be the travel fees. I'm not sure exactly where you are located but if you are anywhere near Fort Bragg it is over 400 miles from my location near Atlanta. I will, and have traveled that far. The travel fees would be $275. So your total cost to have ME install the table would be $525 not counting moving the components into the room but we might be able to work something out with that. If you can't find a competent installer closer to you I'd be glad to do it. Your name was provided to me as an installer for a CampRan pool table. I am located seven miles north of Savannah in South Carolina. I am needing installation the second week of February. Are you available, and if so, what is the rate? Yes I would be available the 2nd week in February. My normal installation fee for a CampRan table is $275. The trucking company they use will not deliver the components of the table into your home, they will only drop ship everything into your garage or carport. There is a $65 fee to move the components from the garage into the house if there are no stairs. Of course if you decide to uncrate everything and bring it in to the room before the installation there would be no objection from here. The real expense however would be the travel fees. Savannah is 300 miles from my location near Atlanta. The travel fees would be $225. So your total cost to have ME install the table would be $500 not counting moving the components into the room but we might be able to work something out with that. I have extensive experience with the CampRan brand and if you can't find a competent installer closer to you I'd be glad to do it. Thanks for the inquiry about the table. I am in a bit of a situation now. I moved from the Atlanta area last year and Stanleys (who has serviced this table as long as I have had it) took the table and put it on consignment. However, they became confused and put it up in storage in the warehouse instead for the past 9 months and consequently it didnt sell. They finally got it out on the floor the first of the year but then informed me that they were moving and getting out of the pool table business due to the death of the mom. They are moving out of their facility the end of January and I have to do something with the table.They're moving the N. Georgia and MAY be continuing on their business there but dont want to haul the stuff they now have in their warehouse. Ive had quite a few inquires about the table from Craigs list but, the owner of Stanleys is not being cooperative about showing it so its put me in a bind. They have offered me 550.00 for the table. I put it on Craigs list to try and get it sold for anything above their offier but if they wont show it f( I live too far in North Georgia to take care of the problem) it wont sell. If you are willing to meet or beat their offer, its yours if you will go pick it up. I have someone in Atlanta that could meet you there one evening next week after work to make sure they allow you possession. You could pay him directly. The table is in excellent shape, still having the original balls and rack. I put new bumpers and felt on it just before I stored it. Let me know if you are further interested. Thank you so much for your email. Its difficult for me to tell from the pics but it looks like a table that was bought on-line, manufactured in China and shipped through California by a either KGI (Kingston Global International) on CampRan. Is this correct? If not, can you tell me where it came from and if there are any names or identifiers on the table as to the manufacturer? I will pick up the components at your place in Stone Mountain transport them to Snellville and set up the table for $325. I have over 30 years exp. with slate pool tables. I would like to find out the cost for you to install an 8' pool table in the Buford area. I will be purchasing it new so it will be in the box and need moved around to the back of my house. Sounds like either a KGI or CampRan. We will uncrate and transport the pieces into the room for $65. Stairs are $35 a flight. You have the option of carrying everything in before we arrive to save that expense. I usually stay 3 -5 days out so you might want to call and schedule the installation as soon as you get a head ups from the delivery company. They usually call a couple days ahead. Here are two of the plans I have. I have one more but it is more of a program than an adobe file so it would be hard to send it. I am also sending a picture that shows the pool table I think we are going to shoot for. I don't have any plans for it so I am having to create them in my head and put it on paper. I am pretty close and I think we should start building my table by the end of Feb. I will keep you posted and once we get it going feel free to drive up and check it out one weekend. Again, thanks for the slate and all the good tips. I am sure I will be calling with more questions when we get started. Hey man, that's a lot of good info. Thanks, I'm sure it will be a good source of reference for me from time to time. As far as the pic you sent. The only thing I can think of right off is a possibility of sag. I have seen many tables of this design, especially 9' that sag in the middle in time. However, with good support that may not be an issue. You are right. I was really worried about it sagging with the legs being all the way on the out side. I think I will go back to the traditional way with the slanted style frame. Like the "Woodworking" file I sent you. I finally got a hold of that guy that did those plans and he is sending me the finished copy of those plans. He was selling them on ebay for $10 about a year ago. Hopefully they are more detailed than the one I already have. I am still not sure about what kind of hardwood I am going to go with. Any ideas or thoughts? I am going to stain the wood a very dark stain, even black if I can find black stain so I am not sure how much of the wood lines will be seen. I am also going with a purple felt just to give you an idea of what it will look like in the end. As far as the hardwood, the only thing I've noticed is the differences between oak and maple. The oak is a more grainy type wood so it seems that it absorbs more of the stain. The result is usually a finish that is less smooth but more resistant to scratches. The maple is not as course and does not seem to absorb near is deep. So the finish is a lot more smooth and glossy, a piano finish if you will. However, because of this any scratches are manifested more than on oak especially with the Cherry stain. As far as strength, I detect no difference between the two. Have you considered Mahogany? It’s Bucky, but I guess I already told you that. If you want to take a ride, see a really good factory look up American Heirloom. They are in McDonough. I think its www.ahipooltables.com or something similar. The owner Frank Costansa is a really nice and knowledgeable guy. He used to work for Gandy in Macon and bought them out or something. Hope you're enjoying the holidays. My house will be done in about 8 weeks, and I'm starting to look more seriously at pool table options and sizes. I have attached a style that I may be interested in and wanted to run it by you. Do you carry anything like this? Based on the layout of my basement, looks like I'll need a 7 footer. Would be available some time to drop by and take a look at the basement sometime? I want to make sure that whichever style I pick, I can fit it in there. It's little a tight around the bar area.Let me know. Please let me know as soon as you can if you want to purchase a 7' Kasson as the selection may be limited in that size and may need to be ordered. A 4 x 8 is more common and easier to get. As far as the Ohlhausen Innsbruck, I couldn't find a Kasson table on the website that showed a pedestal leg. I can find out Tuesday though from the local supplier and let you know. If available it will probably be priced a good bit higher than the Lanchester group. Thanks Randy. For the 7 foot I would be 46 inces from playing area and 41 inches from the overall area (from the wall to the long side of the table). My only issue is with one side of the table, as the other wall is about 20 feet from the other side. But based on these measurements, I think an 8 footer would be too tight. What do you think? Actually I think you'll find that a 7' might be tight. The standard cue stick is 57" long so obstruction closer than that will be in the way of some shots. You can get shorter cues in lengths of 52", 48", 42" and 36" but most people find that cues shorter than 52" are uncomfortable to use. You installed my table years ago and I'm interested in selling. Few questions, what is the difference between boxed/crated and not? Is this someting I can just put the pieces in a box, or are you referring to the slate pieces? Also, have you had tables that just never sold from the site? What happens if the table sits disassembled and unsold for months and months? When someone is moving I am hired to just disassemble the table, label all the pieces and leave everything right near it's original location. The homeowner or movers then can deal with the components as they see fit. The fee for this is $195. On a long distance move, especially if a very large truck is being used, the movers sometimes request that the 3 pieces of slate are crated. I can build 3 custom wood crates for the slate. The fee for this is $75. The rest of the parts can be wrapped just like any other furniture. If you are planning to store the table it's probably not necessary to crate the slate. I charge $75 to move the components to a LOCAL storage facility. The table can be stored indefinitely. The best thing to do is take a lot of pictures of it before it's disassembled so you can still show the table after it's been taken apart. I also buy tables. I'll be glad to make an offer on it but I pay a good bit below market. I've never had a table on the site that didn't sell although a few stayed around for more than a year. I do have a small shop in the basement of my home and some of the tables are stored there in pieces. You are welcome to come by and see what's here but I believe you'll see a lot more on the site. How much for a 7 foot coin operated bar style pool table? Do you do free installations? I only deal in home tables. I'm not licensed for vending. would like to see the table and examine the condition. when are you available to show the table? The table is in pieces in my Garage / Shop. You are welcome to come have a look but I don't think you'll be able to tell much about it. I am a pool table service technician. I earn a living moving, installing and re-felting tables. Sometimes I get a good deal on a table from one of my customers as is the case with this one. I charge $200 to deliver and set up one of my tables. I can bring the table to you for you to examine and then when you see for yourself that it is as described I'll bring it in and assemble it (professionally). Once the installation is complete you'll pay me, not before. It will be a cash only deal and the total cost will be $900. I also offer a $400 deal which includes a brand new full assentor kit and a brand new felt (buyer's choice of color) and the delivery / installation. So, that would cost you a total of $1100. Of course if you want to come out here to look at the pieces that's fine. If you like it you can take it with you. It will fit very easily on the back of a small pick up truck. It only weighs about $500 lbs. I can show you some tips on putting it back together properly. I have a 7’ C.L. Bailey maple pool table that was purchased in July 2006 in Missouri. We have recently moved to the Atlanta area and I now have room for a full size table. The model is “Forsyth” and is in excellent condition. Felt color is ‘camel’. I would like to trade this in on a larger table. I'd be glad to take a trade for another table. I sell new Kasson tables and beginning next month will start to carry the Brunswick line. The 4 x 8' Kassons start at $1750 and the furniture style (like your C L Bailey) start at $1950. I must say that I do not pay top dollar for pre-owned tables. The fee to break down, move and reset a slate table is usually about $375. In order for me to buy and resell a table I have to move it twice as well as store and advertise it. All this is factored into what I'll pay for a pre-owned table. Therefore, you would probably get more money if you sold it outright to a private party. I can help you sell it if you like (I'll list it free on my site) or I'll make you an offer and deduct it from your purchase price on a new one. What would you charge to pick up a table in Conyers, Ga or Carrollton, Ga, disassemble it, and deliver to Cashiers, NC and install it where you will have to go down 1 straight flight of stairs? $625 from Carrollton and $675 from Conyers. If you can provide assistance to load and unload then I can do it for $525 and $575 respectively, as this saves paying a helper for a lot of travel time and just a few minutes work. I can use the felt that is currently on it again. Even though it must be removed it will not be ruined and will look just as it does now. However, I can put a new felt on it at the time of installation for $200 if you like. It cost a good bit more to have it done later. Anything else I can help you with? -- Just let me know. If you provide the felt the installation including felting the rails is a flat $300. Century" and I wonder if I could ask a random question. rail frames, but I'm confused about the corner pieces. Any ideas? Any suggestions or assistance much appreciated! in my shop. How do the two compare? Thanks for writing back, and so quickly! Call me if you like at 770-854-POOL I'll be up for another hour or so. It looks like you could do it very similar to the pocket table. The pieces you are referring to are usually called blind rails. I believe on this model they attach to the underside of the slate frame. On the inside of the blind rail you can attach an unfinished piece of one by. Drill and counter sink two holes per blind rail and attach with wood screws into the wood slate frame backing attached to the underside of the slate. Then you secure the blind rail to the corner with short wood screws. No screws need be seen. However, you can also buy some walnut colored wood screws and grommets and attach two screws right through the blind rail into the side of the top rail. It makes for a sturdy hold and still has a nice finished look. Make any sense? You may remember we talked about a month ago following this email thread. I sent you some pictures of the corner plates (shields? ), and you gave me some advice. I thought you might be interested to see how it came out. I just finished everything this afternoon, and I'm pretty happy with the results! I have recently obtained a 4' x 8' (inside playing area dimension) carom billiard table. I got it for free because the previous owner and a friend dropped one of the slates while removing it from his basement. As I currently have $0 invested in this, I am trying to move through my options in order of increasing investment. Price Option 1) I was first wondering if there was any way to repair broken slates. Is there a recommended adhesive product that can provide enough strength to hold? Does I need to provide additional bracing on the underside? Price Option 2) Is it possible to replace a single piece for a 3-piece table? Or do I need to purchase all new? Additional info: The slates are 1.75" thick, and the center slate is the broken one. The ends are still intact. I don't yet have the exact dimensions, but the width seems to be in the 52" - 53" range. So the question for Option 2 is "What would a replacement slate cost?" (Used would be fine, as this is a home table). I do understand and agree that Option 2 is far preferable, and I intend to save up and replace the slate in the future. But I would also like to see if it is possible to get the table to a "playable" state in the mean time. Can you send some pictures of the break AND the frame on which the slate will sit? I'll better be able to answer your question. If the break is somewhat simple (like just broken in half rather than 10 pieces) then I'd say just place it on the table as you do the other pieces and treat the break(s) as you do the natural joint. Support, level, and seal with wax or putty. Pretty much just using common sense based on how it looks and how the installation progresses. Tough for me to say much more without seeing it. Do you have any table assembly experience? The basic billiard table consists of two wooden pedestals, on which two long, hollow, square steel beams sit. The slates rest on the beams, but I don't think there are really any cross-members. The other two slates just have 1 x 4 firring strips screwed along the outer edges. The rails attach directly to the slates. I haven't yet examined every piece to see if there is a manufacturer's mark yet either. I have no table assembly experience, but enough engineering background and common sense to take a stab at it. Based on inspection of the slate, I believe it was previously broken into three pieces (approx 60-30-10). When they dropped it this time, the 60% piece broke into additional pieces, so now there are six (I know, yikes). Distribution is about (30-30-10-10-10-10). I can send along some pictures after I lay it out on a flat surface. I brought the pieces to my father's house, where there is an auto shop of sorts to give me room to work with the pieces. The debate I'm having with myself right now is whether there should be any kind of adhesive in the breaks themselves, or if it should be only additional backing. If just backing, is it better to use wood, metal, or some other material? Should the pieces be simply screwed/bolted to the backing, or use some kind of epoxy/adhesive/etc? I have access to bar clamps and other tools that could be used to hold it in place while setting it, as well as a table top that is supposed to be true/flat to 0.001" from my uncle's tool shop. I had thought about laying it face down on this table to attach some support to the back while holding it together as tightly as possible, then being very careful about the crating and transport back home. But that's about as far as I've gotten in the thinking process. Sorry for the long-winded response, but I felt like you would understand after seeing some of the restorations you've done on your site. I must admit that in the 33 years I've been doing tables I've never gotten into repairing a piece of slate broken into more than 3 pieces. I am still tempted to say just set all the pieces on the table as they are and just make additions to the frame of the table to support each piece then seal all the joints and breaks as usual. That may not be possible though. If you want to try and repair the broken piece separately so that it can be transported and installed as is I suppose its possible but I've never done it. I would think any glue or epoxy will not do much IN the breaks but you will need to seal the breaks on the surface before felting. If you are wanting something strong that will help bond the pieces together you could try auto body putty or Bondo. The 1 x 4 wood around the perimeter is mainly for attaching the felt. You might try to build a frame with 1 x 4 on the perimeter and then perhaps get an 3/4" sheet of plywood cut to fit inside the perimeter frame. This could be attached on the underside with all the pieces fitted back together and attached to the plywood. A strong glue would probably work but any place you can get some screws, or actually bolts with nuts on the bottom, would be best is good. All the screw or bolt holes are countersunk and filled of course. It will be difficult to hold to perfect tolerance though and you'll no doubt need to make some adjustments during the final table assembly. You said the rails attached directly to the slate. If the answer is A than you have a very old table and finding a replacement slate will be near impossible. OK, after checking the hardware back home, I have some bad news for me. The answer to your previous question is actually (A). The rails attach to female hardware into the edge of the slate. I'm planning to continue my repair quest, if only as a learning experience, and I found some backing material that is very sturdy. Thanks again for the suggestions and advice. I really appreciate it. If you know of any sources for new/used slate or even just blank slate slabs that I could cut to size, I'd love to know. Being a 4' x 8' table, I'm guessing that if I found a 1.75" center slate from a 5' x 10' table, I could cut it down and drill the mounting holes myself, as I do have access to some machine tools. Like I said, should be fun learning! It looks like an American Heritage. If so that's a very good table and easy to move. That's about it. The frame and cabinet will stay in one piece. Just remove the legs. I have you scheduled for installation on Saturday June 21 with the possibility of coming earlier. The fee is $225. Please have all the components in the room. Most economical way to do this is to hire someone down there to disassemble the table and then after its been moved I'll come to your place in Atl and do the install. I get $225 for an install if all the table components are in the room of installation. Its $75 to move the pieces into the house. Add $175 for new felt if its an 8' or $200 for a 9'. There are a lot of colors to choose from. You can view a color chart on my website. Depending on how you are moving might determine if you want to have the slate crated or not. I have moved tables over 1,000 miles on the back of my pick up truck and never had a problem and never crated the slates. But if you will be moving this table via 18 wheel transfer truck or similar then you might consider having the slate crated. As a pricing guide when you are shopping for a billiard technician in Austin - I get 225 for a takedown and $75 to load it on a truck. I get $125 to build three custom size crates for the slate. You also have an option to disassemble the table yourself. It is relatively simple, requires just a few hand tools and some common sense. I'd be happy to give you some quick take down and handling suggestions over the phone. Just give me a call. I found your web site (below) today as I was trying to find out what my Brunswick Heirloom pool table is worth. It looks just like mine but as I was looking underneath the table for a serial number (which I can't find) I noticed my frame is made of thick plywood covered with mahogany panelling. It's about the same age as yours. Where would the serial number be? It would be somewhere under the frame. Usually a white business size card stapled to the wood or a rectangular foil like sticker. It's not really hidden. If you looked under there and didn't see it then it was probably removed or fallen off. I'm not sure how important it is anyway though. Nice table. Strong pedestal leg cabinet. Built like a tank. It's a 265 mile trip. I can turnkey the entire job if you like but my fee would be close to $800. It might be best to use 2 different techs. One to take down here and one to install there. My fee to take down is $195 - 275. Are you using prof movers for everything else? I don't know if you recall our messaging in the recent past back in March 2007. See below. I am still interested in your moving my pool table for me in the near future. I am building a house outside of Byrdstown TN. I should be able to move in sometime in December of 2007. Would this price still hold to move table? Will I need to come by and give you a partial payment before moving or would we settle up when table is moved? Thanks again for your help. Yes I'll be glad to do it. Please try and give me as much notice as possible (at least a week if you can). First of all Happy New Year. Just wanted to touch base with you again about moving my table to Monroe, TN. We have roof on house and hopefully will be getting close to completion of building house in about 2 months. I will keep you up to date. I know you wanted as much notice as possible. You will have no less than a week, or few weeks, before time to make the move. Thanks again for all your patience with me. Hope all is going as well as can be with the house. Thanks for keeping in touch. I'll be ready when you are. I know, it has been a long time. What I thought would be 6mos to build my house in TN has been about a year. We should finish in the next 4-5 weeks or so. Then close on house and then will be ready to move my pool table. I wanted to touch base to be sure we are still on. Will let you know when it is closer and time to go, at your convenience. I will allow as much time as you need to get ready to move the table. Least I can do after all this time. At least, the pool table light is hung from the ceiling...lol...Thanks again for your patience. Yes I'll be ready. I believe I explained that I'll want to pick up the table a day or so before I bring it to Tenn. Sorry for you that the build is taken so long, I know it gets frustrating. I'm sure the place will be beautiful when finished. Have we talked about the felt? It must be removed to move the table and does not need to be replaced as it can be put right back on without a problem. However, some people choose to change it when the table is reassembled. Its much cheaper, $175 as opposed to $375 at any other time. If you're happy with the color and its not worn, there's no sense changing it. I do have over about 30 colors available. Ok, I'll be ready when you are, just let me know. Except the week of Sept 13 - 21, I'll be in Florida. If your schedule changes we can change these dates. Whatever works for you will work for me. I just really appreciate your waiting, oh, about a year, to make this move. Thanks again Randy for your patience. If you wanted to stay at my place, Thursday night ,and go back home the next day. Bring a pillow and sleeping bag. I have no beds in house at present time but have carpet in bedrooms. I have a, blow-up mattress, I am using at present time. I guess I didn't realize that you would be down here on Wednesday only having to make the trip back on Thursday. I assumed you were already living in Tenn and would be there waiting for me to arrive with the table. When I do a long distance move I usually set off very early, about 6:00 or 6:30am. That way I am on the way back by early afternoon. This works well for me. If I did that I would be arriving at your place in Tenn about 10:30 - 11:00 or so and be on the way back around 2:00. I have found you on the map, right there on Dale Hollow Lake. I should have no trouble finding my way there so if you have things up there that you need to do and want to head up there Wednesday afternoon that would be ok by me. I can be there Thursday am. Or if you plan to go up on Thursday morning just let me know what time you expect to be there and I'll do the same. I don't think it right to ask you to leave so early just to accommodate me. I'm flexible so just let me know what you think. Looking forward to a nice ride. I know it great this time of year up there. I would like to buy this table from you if you can deliver to my house in Buckhead. Looking for a tan/sand color felt, something along the lines of the mustard color on your website (couldn’t tell if it was more tan or gold though, definitely don’t want gold). Please let me know, have cash ready, could take this weekend if you have time. Thanks. Yes that color would look good on that table. Camel is popular, I did a Mustard a couple weeks ago. Looks a bit bright when spread over 8'. The table is $1100 and $200 to deliver and set up (professional) to Buckhead. I will not take any money up front. I will bring the table to you and allow you to inspect it on my truck if you like. You have the right to refuse it if there's any undisclosed damage or misrepresented materials. After you approve I'll bring it inside and set it up (takes 2 - 3 hours). After everything is set up, level and ready to play you'll pay me in cash. Nothing before. Ok, thanks for looking. Let me know what I can do for you? That sounds great. I like the Camel color. As for delivery, like I said as soon as you can deliver I am ready. Anytime tomorrow through the weekend is fine. Next week early morning or in the evening is good too. I’ve been looking for one for a long time and this fits the bill perfectly. Thanks for the quick response. Yes, its a good table, plays well. I could deliver it this weekend but I do not have the Camel felt in stock . I will order it first thing this morning. It usually takes two days so I expect it would arrive Monday. I can do the delivery Tuesday morning if you like. I have about 8 colors of felt in stock but they are greens, reds, blues and black. Since I'll be ordering anyway, would you like me to order Camel and one other color, say Mustard, for you to choose between? I'll be sure to get you some chalk to match the felt also. Shall we plan on Tuesday then? I would arrive about 9:00 am and be finished about noon. What can I expect about the delivery? Any stairs, steep hills etc? I've included an attachment of the invoice. It's in MS Word. Let me know if you can't open it and I'll try sending it in another format. Ok, let me know if there's anything else. Tuesday morning is fine, and I think the Camel is all we need. It looks to be about that “not as light as tan, not quite a brown” look I wanted. If the Camel gets delayed for whatever reason, I am also fairly wide open the remainder of the week. You can park in the driveway where there is a flat walkway around back. There is one flight of stairs, about 10 or so. Then it is flat again leading to the double doors in the finished basement where the table will go. Will have $1300 cash ready. Looking forward to this. I doubt there will be any delay. Very reliable supplier. I assume the stairs are outside? Everything's ready to go on this end. Just wanted to confirm that I'll be there tomorrow between 9 - 10am. Yes, everything confirmed on my end. If you could make it closer to 9am that would be a big help to me. I found your site. We are just completing a basement playroom and are looking for a pool table. I think we will get an 8’ table. It might be a little tight with a column, but I grew up with a table in a narrow room and it did not stop us from having fun. I wanted a table for Christmas for the kids, but the floor will not be ready in time. Maybe before the end of the year. Anyway, what do you suggest? New or used? The table I grew up with was a Sears I think with a honeycomb bed instead of slate. It performed well for 10’s of years, and my stepfather still has it. I think I would like a slate table of some type now though. If I could get something for $1,000 that would be great, but if I need to be more like $2,000 that might be okay. I might have a hard time selling a $3,000 table to my wife. Used does not bother me. Delivery and set up are a must. I have a driveway to the back side of the house and the basement level. Thanks for visiting my site and your interest. I sell both new and used pool tables. I only deal in slate and only recommend slate. Three piece slate. Right really have any thing in used tables. However, I have recently began carrying a real nice line of new slate tables. 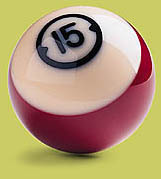 Did you see the info on my site about Baxter Billiards? I have really been impressed with these tables. I install a lot of them and convinced the distributor who I do the installs for to let me buy directly from him. These are brand new 1" three piece slate tables. The cabinets are SOLID maple (no veneer). The cabinet is about 1 1/2" thick. Two of them are under $2000 which includes delivery, professional installation, accessories and choice of over 50 colors of felt. The pedestal leg table is only $2150. I don't think I ever saw one of those at that price. Honestly, many of the USED tables I sell are close to that and not as good quality. There are some good deals on used tables out there but right now I haven't been able to get my hands on much. If you find a used one to your liking I'd be glad top move it and set it up. My fee is about $400. If I get anything used in that fits your criterion I'll let you know before I list it on the site. Everything that's listed there (pre-owned section) now has been sold. I like the looks of the Bungalow. I know it is sacrilegious, but my daughter wants to be able to play ping pong. Is there a ping pong table top that can be put on top of the pool table that will not do too much damage? Yes. I recommend them. The dimensions including height from the floor are all regulation. It actually protects the table if done right. Also makes for a great buffet table for parties. I don't carry them but I can look around for you. I think they are in the $150 - 200 price range. How long does it take to get something like the Bungalow delivered and installed? I should be able to get it out one day next week. They are putting in the floor today. Just let me know if I can do anything. I would probably go with tournament green, unless you have another suggestion. If it is not too much trouble, please give me a quote and what it includes and does not include. I will need it delivered and set up. What address do you want me to use? The pool table would be delivered to Sagamore Hills Drive, Decatur, GA 30033. We are also receiving mail at that address. I am an owner operator, hands on every job. No employees, just me taking good care of your table. Thanks for checking with me. Let me know what else I can do for you. Would like to schedule. We are closed on Tuesdays if that will work for you. How do we do payment? I can have a check ready for you if I have at least 2 weeks notice. I will need an invoice to submit a check request. I have maybe 6 cues that need tips. I can do it this Tuesday (August 3) and bill you. There's a 15 day net so you'll have the time you need to send me a check. What color do you want?